Okhrey , a small village situated at West Sikkim, enroute famous trekking route of Barsey Rhododendron Sanctuary is gaining popularity amongst not only the trekkers but also general hill lovers for its natural serene surroundings and clean and calm nature. From NJP/Siliguri, often it gets difficult to reach Hilley, the entry point for Barsey Rhododendron Sanctuary, directly and therefore, many opts to take a halt at Okhrey which has comparitively better and more accommodation option than Hilley. 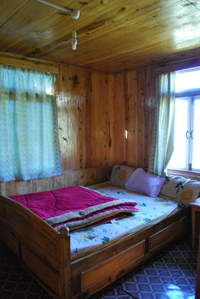 The place is situated only 10 kms before Hilley and has excellent surroundings of the Himalayan Mountains. Differnet flowers and orchids can be seen at Okhrey with the majestic Kanchenjhengha appearing right in front of the place. Mostly inhibited by Sherpa's, Okhrey is approximately 110 km from the capital Gangtok. The nearest town from Okhrey is Sombaria i.e. around 20 KM. The main occupation of the people Okhrey is farming, and they mainly produce potatoes. The temperature of Okhrey can reach up to −2 °C (28 °F) in winter, and it enjoys moderate climate during summer. A popular tourist attraction of Okhrey is the Ugen Thon Meon Ling monastery, which is operated by the Tibetan missionaries. One of the short trek route is a route to Ribdi on the West Bengal border. One can proceed further down through the jungles of Rammam to Rimbik a small settlement worth staying. Incidentally, Rimbik is well known to Sandakphu trekkers as most of them come accross this place while descending from Sandakphu - Phalut. For more adventurous or seasoned trekkers there is the popular route from Okhrey that leads all the way to Phalut via Gurdung. Okhrey is situated at a diagonally opposite point to Srikhola, which falls while descending from Sandakphu/Phalut. Though barring the monsoon, Okhrey can be visited throughout the year, the best season is April-May for Rhododren abundance. Okhrey can be reached from Siliguri with a 6-7 hrs drive covering 130 kms via Teesta, Jorethang. Distance from Gangtok is 160 kms. One can avail shared Jeep service from Jorethang Jeep Stand (Opp. Payel Cinema, Siliguri), so, take a auto to Payel Cinema, from there, you can avail shared jeep to Jorethang, which is available at regular interval till noon. From Jorethang, one can get shared Jeep till Okhrey /Hilley till afternoon. By Train : The New Jalpaiguri Station (NJP) is the most know Railway Station nearby. It takes around 6 to 7 hours from NJP to reach Okhrey . The station is well connected to places such as Kolkata, New Delhi, Chennai, Mumbai and Dibrugarh. Taxis are available at the station as well. Reach Hilley, 10 kms from Okhrey and start the 4.5 km famous rhododendron trek to Barsey. 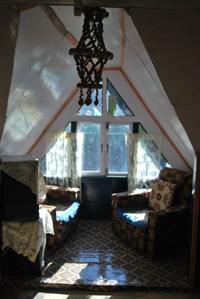 Sherpa Lodge is one of the oldest hotel in the area of Okhrey. 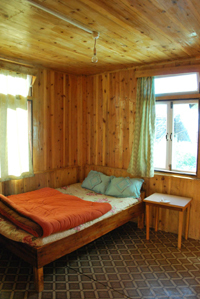 The hotel has moderate budget rooms with attach bath facility and most of the rooms are mountain facing. 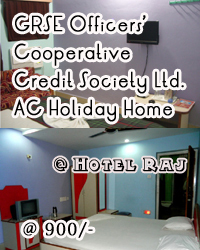 The hotel also have dormitory provision. 900/- per day per head including food. Okhrey have very limited staying options and one of them is Magnolia Home Stay. 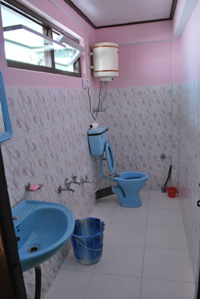 This home stay offers four excellent rooms with attached and common bath systems. 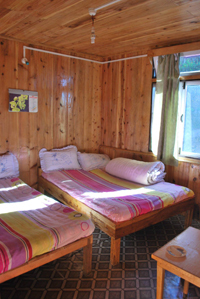 The rooms are cozy and the location of the homestay is excellent considering the picturesque view of the Mt. Kanchenjhengha and green Himalayas. It is situated at the entry point of 7th mile at Okhrey. A very warm welcoming family run home stay well known for its hospitality. A huge dormitory was there on the 1st floor, 2 Double Bed Rooms and 3 four bed rooms are also there in teh home stay building and in total the home stay can accommodate 40 heads. This above tariff includes lodging and full day meal comprising of bed tea, breakfast, lunch, evening snacks with tea and dinner.